Currently Vice President, Goldman Sachs. Sr. Vice President, Research and Development for McGraw-Hill Education of The McGraw-Hill Companies; Jewish Community Relations Council of New York, etc. 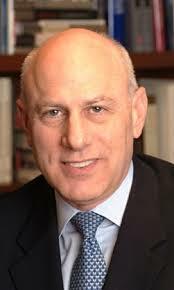 Steven Fadem, Steve, serves as Senior Managing Director and Chief Operating Officer at Geller & Company LLC. Mr. Fadem will be responsible for many of Geller’s daily operations. He began his career at the Federal Communications Commission. Mr. Fadem served as the President and Chief Executive Officer of The Relegence corporation. Mr. Fadem has over 20 years of experience in the media, communications, entertainment and information services industries. 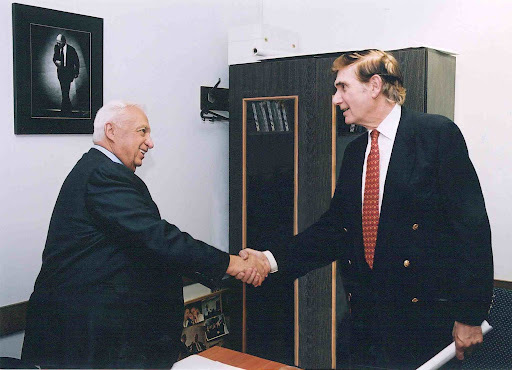 Mr. Fadem served … as President and Chief Executive Officer of Global Decisions Group, a Clayton Dubilier & Rice portfolio company. Prior to that, he served as the President of Nynex’s cable and entertainment division and also served as the Senior Vice President of Business affairs at Viacom Entertainment. He served in senior business affairs and legal positions at Multimedia Entertainment of Warner Amex and Viacom. He served as a Director of The Relegence Corporation. Mr. Fadem earned his BS in Economics from the Wharton School at the University of Pennsylvania and his JD at the Emory School of Law. …a litigation partner resident in Fried Frank’s New York office. He joined the Firm as a partner in 1990. …concentrates his practice in white-collar criminal defense, internal investigations, and RICO and fraud-related civil litigations, etc. Of Counsel at Katten Muchin Rosenman LLP. 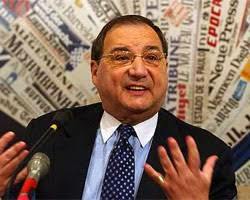 * http://fundrace-origin.huffingtonpost.com/neighbors.php?type=name&oldest=1&lname=Karlinsky&fname=Martin&search=Search [Nadler, Weiner, Hillary, etc. –330 W END AVE.; New York, NY. 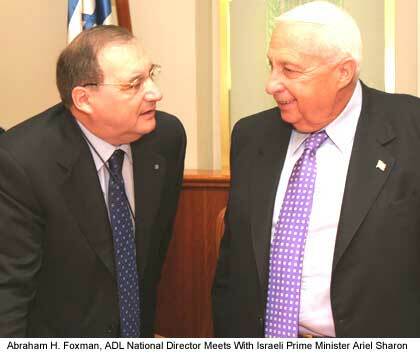 President of the American Friends of The Hebrew University (AFHU); member of the American Bar Association (Section of Litigation) and the Federal Bar Council. Karlinsky also holds leadership positions of the Anti-Defamation League (ADL). 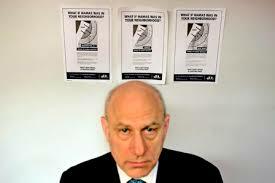 He is a member of the National Commission and the National Executive Committee of ADL, and serves as chair of its Litigation Oversight Committee. He was formerly chair of ADL’s National Legal Affairs Committee, chair of ADL’s New York Regional Board, and vice chair of ADL’s National Civil Rights Committee. 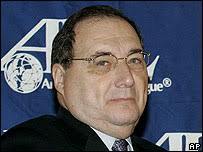 He also serves as a trustee of the ADL Foundation. Visual Manager at Abercrombie & Fitch [?]. 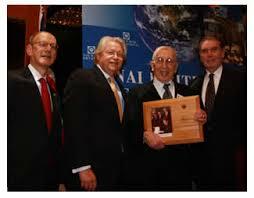 Former president of B’nai B’rith International, ETC. Senior Vice President – Investments, Merrill Lynch. <–Ron Meier, a proud member of AJCOP, brings greetings from JCSA as their past-president. Ms. Robbins was a founding partner of Blaqwell. In November 2006, she was appointed General Counsel and Executive Vice President of NYSE Group, Inc.
Ms. Robbins spent most of her legal career at J.P. Morgan & Co., where she concluded her 20-years of service as General Counsel and Corporate Secretary from 1996-2001. Most recently, Ms. Robbins served as Strategic Advisor to Axiom Legal Solutions and as a consultant to Citigroup, Inc. on international issues. From 2003-2004, she was General Counsel of Citigroup International. From 1976-1980, she was an Associate at Milbank Tweed Hadley & McCloy, New York. Ms. Robbins served as chairman of the Board and President of American Bankers Association Securities Association (ABASA) from 1997-2000, where she was instrumental in developing industry consensus on strategic legislative and regulatory issues. She has served on the U.S. Treasury Advisory Committee on Financial Services (1996), Legal Advisory Committee of the New York Stock Exchange (1992-1995), Federal Regulation Committee of Securities Industry Association (1987-2001), and Executive Committee of the Securities Regulation Institute (1994-2001). Ms. Robbins is Chair, New York Regional Board of the Anti-Defamation League. She is a Member of the Board of Trustees of New York University School of Law, a Member of the Board of Ishmael and Isaac, an Advisory Board Member of Axiom Legal Solutions, and an Advisory Board Member of Legal Momentum. Ms. Robbins graduated from New York University School of Law, Order of the Coif, and Wellesley College, where she was a Durant Scholar. David S. Hershberg, 68, was appointed a Director [of PC Group, Inc.] in June 2008 and is a member of our Compensation Committee and our Nominating/Corporate Governance Committee. Mr. Hershberg is a graduate of New York University and Harvard Law School and has served in various legal and business capacities for companies such as IBM, Shearson Lehman Brothers (Vice Chairman), and Viatel, Inc. (Executive Vice President, Finance and Law), in addition to directorships at Bank Julius Baer and OutSource International. Since 2006, Mr. Hershberg has served as a consultant to companies such as Aquiline LLC, The Solaris Group, Colchis Capital, CapIntro and Sevara Partners. From 1995 until 2006, Mr. Hershberg served as vice president and assistant general counsel responsible for the corporate legal group at IBM. A Democratic politician who served as a New York State Assemblyman from 1971 to 1993, as Comptroller of the City of New York from 1994 to 2001, and as State Comptroller for the State of New York from 2003 to 2006. …Hevesi and his wife Carol have been residents of Forest Hills, Queens.